Disney releases its charming puppy love story Lady and the Tramp on Blu-ray today. While many of the bonus features on the included DVD are recycled from the 2006 50th anniversary home video release, there is one particular new feature (among the few) on the Blu-ray disc that stands out, Diane Disney Miller: Remembering Dad. In this eight-minute featurette, Walt's daughter takes us on a tour of the small apartment over the firehouse in Disneyland where Walt and his family frequently stayed to enjoy the park and entertain guests. It's a welcome glimpse inside a part of Disneyland rarely seen by visitors. For a closer look at Walt's apartment, download the Lady and the Tramp Second Screen app for the iPad (if you're Apple-challenged, you can also find it online here). Bundled amongst the concept art and design sketches that take you inside Walt's Lady and the Tramp story meetings, is a 360-degree rendering of the apartment you can navigate on-screen. There are plenty of places to tap/click that reveal details about the Victorian-style apartment: the old Victrola, Walt's countertop grill where he made his favorite grilled cheese sandwiches, Lillian's and his matching trundle beds, the lamp in the window that stays perpetually lit to honor his memory. The apartment was originally designed by movie art director Emile Kuri, who won an Academy Award for his work on Disney's 20,000 Leagues Under the Sea. It's a cozy corner of Disneyland that few people get the privilege to see in person. It's certainly on my Disney bucket list. 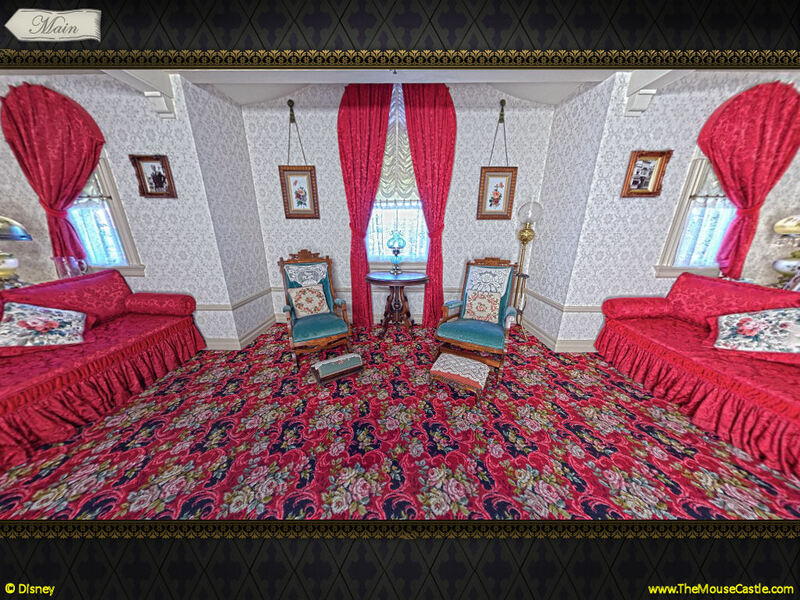 For now, this virtual tour does nicely.